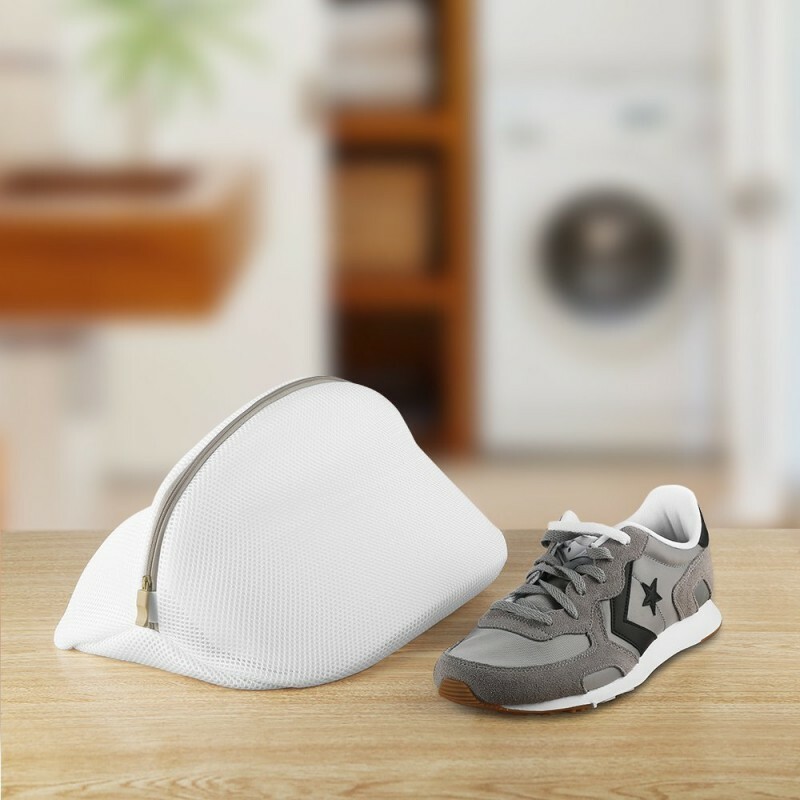 Care your shoes, while washing or traveling. 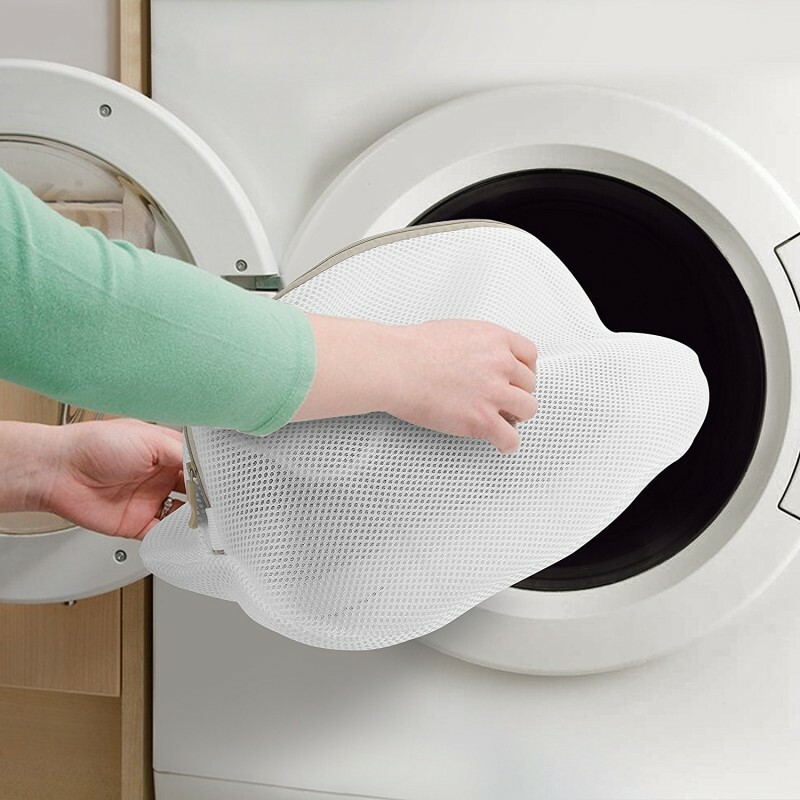 The bag is fine-tuned to fit your shoes properly, so your shoes won’t bump around while washing. 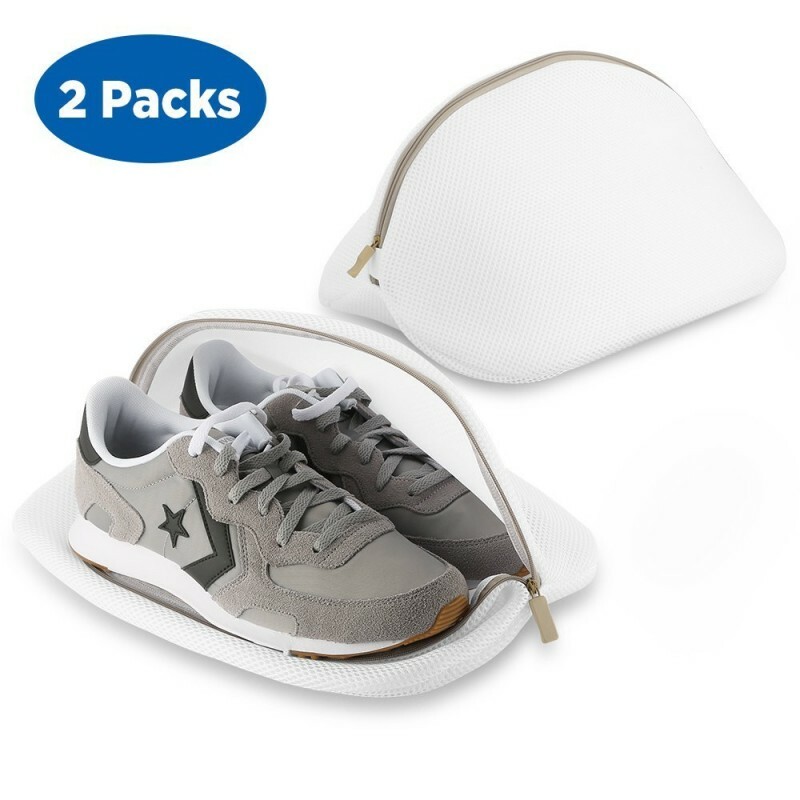 And it also can be a perfect storage bag for your shoes while traveling. 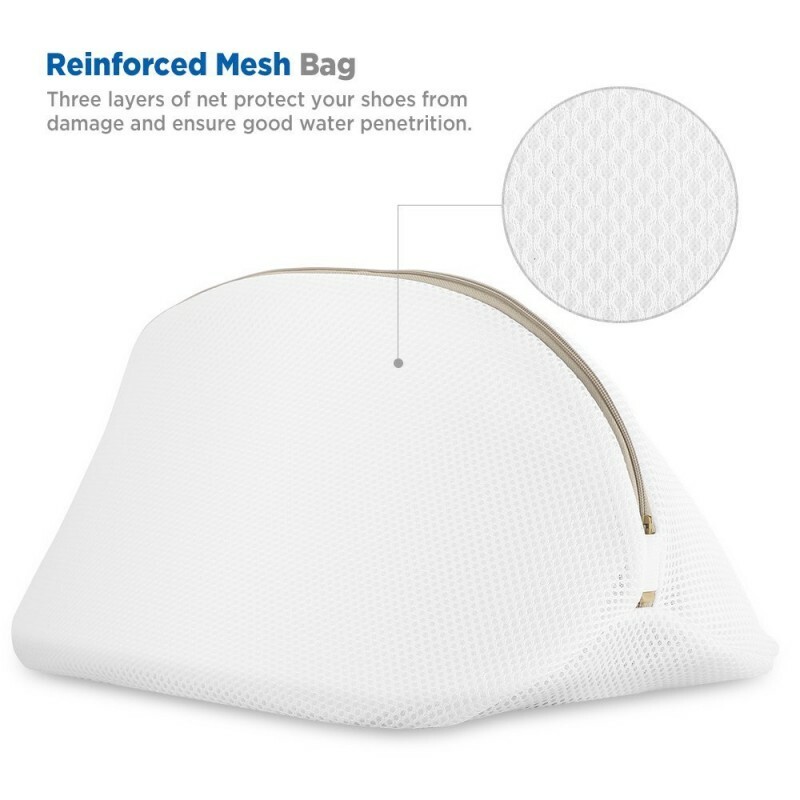 Reinforced three-layer net combined with tight and dense seams, the bag is sure to stands daily abrasions, stretches and corrosions through time. 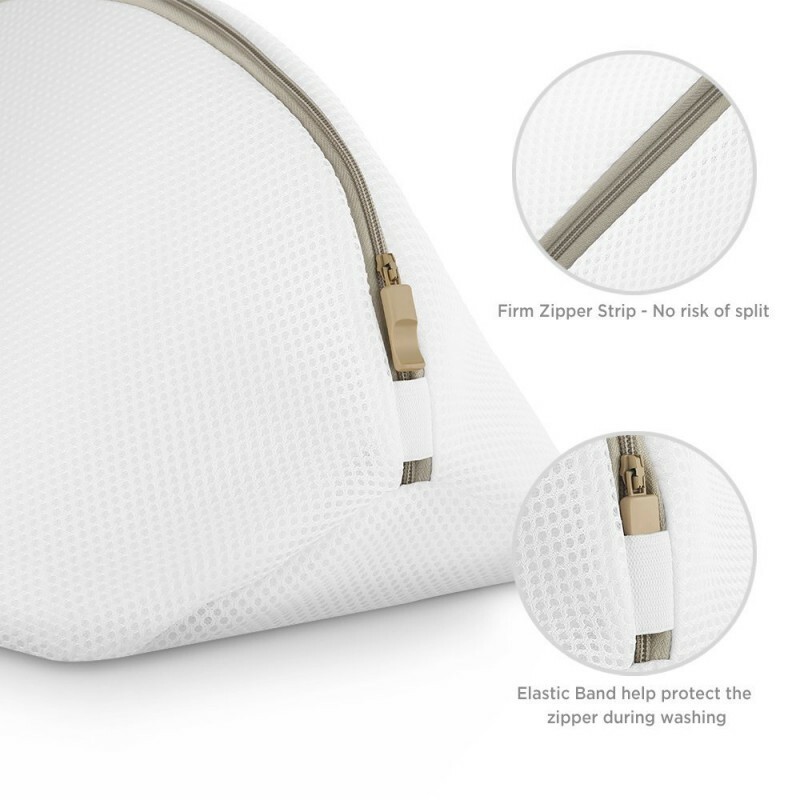 The quality zipper is meticulously seamed for a durable use during laundry process. While the elastic band hides the puller and effectively protects it from being caught while washing.